One of the more common choices among borrowers is to utilize a reverse mortgage to pay off their existing mortgage. This can increase your immediate funds available or cash flow since a reverse mortgage will not require the borrower to make monthly mortgage payments. This product is available on a primary residence only, the amount you are eligible for is determined by factors including date of birth and appraised value of the home. If the amount available on a reverse mortgage exceeds the amount required to satisfy an existing mortgage, that equity can be available at a predetermined time and in various forms including cash, a line of credit or structured payments. As with all mortgages you will be responsible for keeping taxes, Home Owner Dues and Insurance paid and current. United Northern Mortgage Bankers Limited, DBAs: Senior Security Home Advantage, Senior Security Advisors, 3601 Hempstead Turnpike, Suite 300, Levittown, NY 11756 Corporate - NY Dept of Financial Services Licensed Mortgage Banker NMLS # 7230 · AL Consumer Credit license #21761 · CO Mortgage Company Registration · CA DBO Finance Lenders Law license # 603K800 ·Licensed by the Department of business Oversight under the California residential Mortgage Lending Act. #4131321 · CT Dept of Banking Mortgage Lender license #20372 · DC Mortgage Lending License #MLB7230 · FL Dept of Financial Institutions Mortgage Lender license #MLD273 · GA Dept of Banking and Finance Mortgage Lenders license #39919 · IL Residential Mortgage Lender license# MB6761307 · Indiana-DFI Mortgage Lending License · MD Mortgage Lender license · NJ Dept of Banking and Insurance Mortgage Lender license #9938995 · NC Commissioner of Banks Mortgage Lender license #L140365 · PA Dept of Banking Mortgage Lender license #20887 · Rhode Island Lender License #20183612LL · SC State Board of Financial Institutions OTN Mortgage Lender license #MLS7230 · TN Mortgage license #115610 · TX - SML Mortgage Banker Registration · VA Lender license #MC5787 · WA Consumer Loan Company license #CL-7230 · Direct Endorsed FHA Lender. United Northern Mortgage Bankers, Ltd. is not affiliated with or acting on behalf of or at the direction of FHA, VA, USDA or the Federal Government. 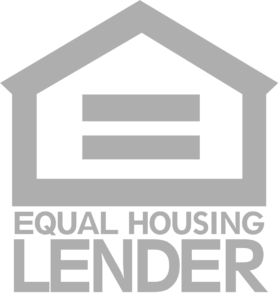 United Northern Mortgage Bankers, Ltd. is an Equal Housing Lender. All programs are subject to approval by United Northern Mortgage Bankers, Ltd. All Rights Reserved.